‘Out of sight out of mind’ is a phrase that can be applied to anyone from annoying children to partners past or present. But the best managers shouldn’t apply it to their working-from-home staff. That’s because remote workers need only be remote in name. Engaging off-site workers can be good for managers as they get more out of them, especially with this employee genre now constituting one in seven of the country’s workforce. 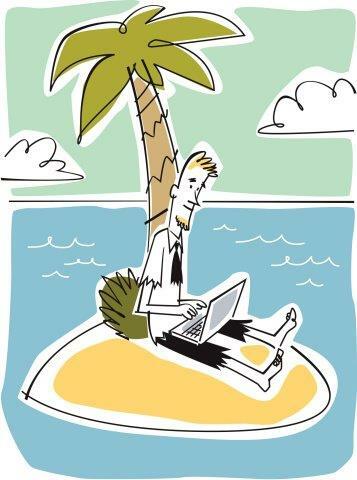 It can be equally productive for homeworkers as if they feel more engaged and as if they aren’t working from some far-away island. If you’ve got it, use it. Skype gives that face-to-face feel without the hassle of a two-hour round trip or petrol claims, while Cisco WebEx Meetings also enables contact. This has been described as the consummate portable meeting room. You can see spreadsheets, files and presentations from your home office desk. Most companies have got Facebook pages nowadays – ideal for stimulating staff ideas and pointing to future trends. Why not invite your remote workers to join the page and share in the discussion? Some remote staff can work closely with on-site employees for years without knowing them from Adam. Inviting your homeworkers into the office – even annually -helps to break down barriers by putting a face to the voice you may have heard down a phone a thousand times. It also gives the homeworker the chance to be refreshed of new directions the office may be taking. There are some out-of-officers who revel in the anonymity that working from home provides. Some might like to get more involved, perhaps even be included in occasional meetings when schedules dictate. Others are more easy going and just happy to absorb any workload thrown at them – and happy to travel into the office when required. No two employees are alike, so don’t treat them all the same. Ensure that your remote worker has direct land and mobile numbers of all their main office contacts. Make sure that they understand the chain of command so that they know where to go in case of a grievance. Don’t think that just because you’re divided by miles of ether between your computers that a little ‘thank-you’ or ‘well done’ isn’t just as appreciated online as it is in person. This entry was posted in Blog on 5th August 2014 by Secret Businessman.